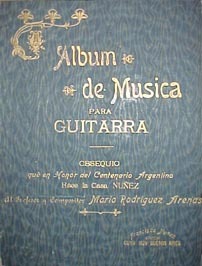 Fine Fretted String Instruments has recently acquired the sheet music collection of Mario Rodriguez Arenas (1879-1949) Vol. 3. It contains 857 individual pieces, with not less than 600+ pieces out of print. In the months and years to come there will be a new series of music books that will be published to be known as "Los Maestros de Buenos Aires" . There will eventually be 20-30 volumes available containing 1) folkloric pieces from the beginning of the creation of that idiom, 2) classical pieces by the almost forgotten teachers of icons that are on the tip of ones tongue of the general public and the most educated in our society in today's world. 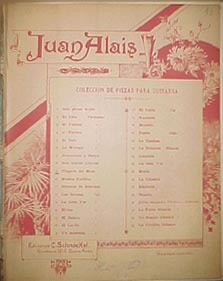 Juan Alais (1844-1914) Vol. 1 whose pieces have been recorded by Abel Carlevaro & Julio Martinez Oyanguen was one of two teachers to Gustavo Sosa Escalada, who was Agustin Barrios Mangore's only teacher. 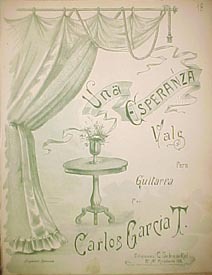 The other was Carlos Garcia Tolsa (1858-1905) Vol.2, whose compositions were recorded in 1914 and concertized for decades by Agustin Barrios. In 1898 when the yet to be legendary Agustin Barrios was only 13 years old he was playing pieces by Juan Alais. The collection contains 43 authors / transcribers. There will be 50+ compositions of Juan Alais made available for the first time in decades to not less than a century. The works of Carlos Garcia Tolsa will amount to 14 of the 17 known pieces that he has created. A sample listing of other composers would include Antonio Sinopoli (1878-), Hilarion Leloup (1876-1939), Jose Sirera (1884-1931), Jose Sancho (18? ?-) (composer of "Melodia Nocturna", which is the blueprint of "Feste Lariane", published by Luigi Mozzani and performed by the late Alexandre Lagoya), Gaspar Sagreras (1838-1901) (father of the prolific composer of solos and methods still used daily-Julio Sagreras), Faustino Brughetti (1877-) (celebrated painter and composer of tremelo pieces that have an intermittant bass-technically difficult- I currently play "Plegaria" which has this feature and incidentally has a bass melody that reminds one of "El Condor Pasa". 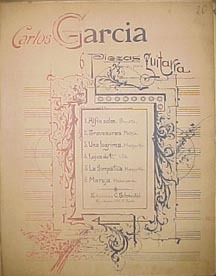 A majority of these pieces in the collection, were published by Francisco Nuñez (1841-1919). 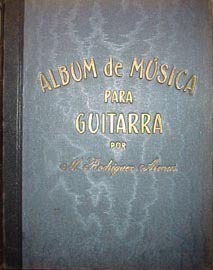 He began his guitar building and publishing business in 1870. He built the guitars concertized by Juan Alais, Julio Sagreras, and for the rest of the elite-doctors, engineers and artists of the "Paris" of South America, as Buenos Aires was known. A century ago, Argentina was the 6th largest economy in the world, and the arts flourished unceasingly. Francisco certainly is the most important factor in the preservation of the art form of guitar music that was written down in the infancy of the development of the folkloric musical style. Carlos Schnockel appears to be the first publisher in Argentina, whose works were later distributed and reedited by Francisco Nuñez after the demise of Schnockel. 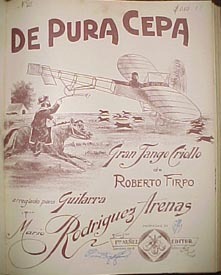 In the photo of the cover "De pura Cepa" published in 1913, one can see as to the moment in time in which this was published. The early airplane relects the dawn of the age of the flight of mankind. 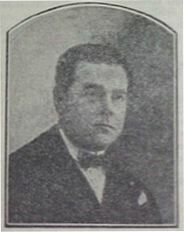 Francisco Nuñez Arteaga, son of Francisco Nuñez Rodriguez. Bound volumes that hold all the rare jewels of art. 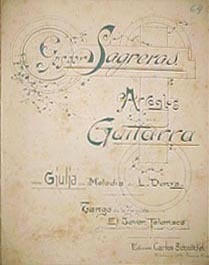 Century old autograph of Gaspar Sagreras (1838-1901) from the cover of "Giulia" published by Carlos Schnockel-19th century publisher in Buenos Aires.